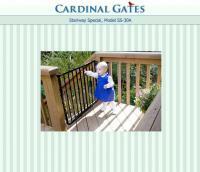 Cardinal Gates has been dedicated to making homes safer since 1992. 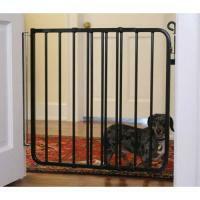 Over the years the company has expanded from the original Hearth Guard to a full line of gates for children and pets. We strongly believe our gates are the best on the market in terms of safety, ease of installation, attractiveness and durability. 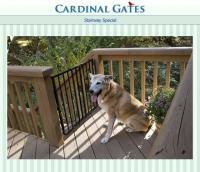 We produce the only aluminum gates on the market, which are light weight and able to weather the elements for exterior use. 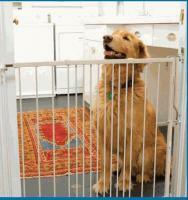 Our gates are constructed entirely of metal-we use no plastic parts-for additional strength and durability. 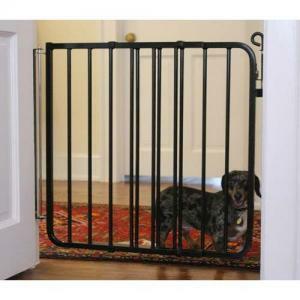 We design all of our products and own a variety of patents on our gates and safety pad. These products are carefully inspected by hand in Newnan, Georgia. This ensures that each gate meets our exceptionally high standards before we ship them out-we want them to reach their destination in as perfect condition as humanly possible. 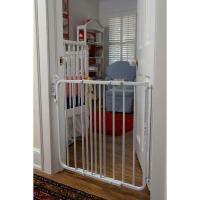 Additionally, all of our gates are rigorously tested to earn the seal of certification by the Juvenile Protection Manufacturers Association. 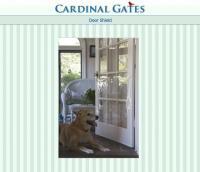 At Cardinal Gates, we believe that genuine customer service is as essential as the quality of our products. Your call is important to us. It will never be lost in an automated phone system or accidentally deleted from voicemail-we don't use them. We believe the very best way to help you is by being available to answer your call. We look forward to hearing from you soon.